Or, a dish I threw together when looking for a way to use up pea shoots. First, grow your peashoots. I buy packets of dried peas from my nearest supermarket - 30p last I bought any, 46p on Asda's website today - either way, far cheaper than buying seeds from a garden centre, or indeed anywhere else. Incidentally, that says steeping tablet, not sleeping tablet. Just so's you know. The tablet in question is bicarbonate of soda, and as such can be used whenever you'd normally use bicarb - cleaning, laundry, brushing your teeth, you name it. Sow your peas quite thickly - a neglected corner of the garden is fine, but a plastic tray on your windowsill is even better, as it can be used the year round - they'll not grow in your garden when the ground is frozen, or covered in snow. A couple of weeks later - in warm weather, a bit longer if it's cold - give your shoots a haircut, grab some potatoes, an onion, and a tin of tuna. Peel and quarter the spuds, bring to the boil, then boil for 20 minutes, or until they start falling apart. Drain, then put the lid back on the pot and give them a good shake - you want them bashed about and falling apart, quite unlike what you'd normally be after for a Nicoise, or indeed any potato salad. While you are waiting for potatoes to boil, peel and slice a large onion (red is nice, but any will do) - or two medium ones - and saute in a little oil until soft. Mix in the peashoots. Empty out your frying pan into the potatoes. Open your tin of tuna, drain it - then throw the contents in with the potatoes as well. Season with salt, pepper and a capful of vinegar and mix well. Scatter a few olives over the top if you have any. Tuck in. That looks lovely. 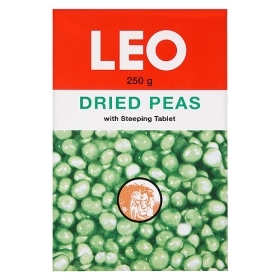 I hadn't realised about the steeping tablets being bicarb - useful to know.